A fitting symbol -- Pedestrian bridges and water towers are the most utilitarian of architectural expressions, and they serve well to characterize the pragmatic nature of Swiss culture. 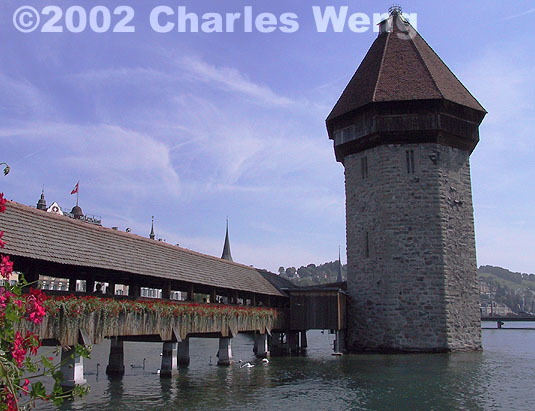 The Chapel Bridge, built in 1333 and recently restored after being gutted by fire, features panels on its gables depicting illustrations of Swiss history. It crosses the River Reuss alongside an even more ancient water tower.